What's behind the cloud vendors AWS, GCP, and Azure? This white paper covers cloud infrastructure and platform fundamentals not to be missed when preparing to make an organizational move to the cloud. AWS vs. GCP vs. Azure are covered for DevOps and IT Managers. Cloud vendor competition is heating up to include a pricing war and new feature offerings in the battle for your business. 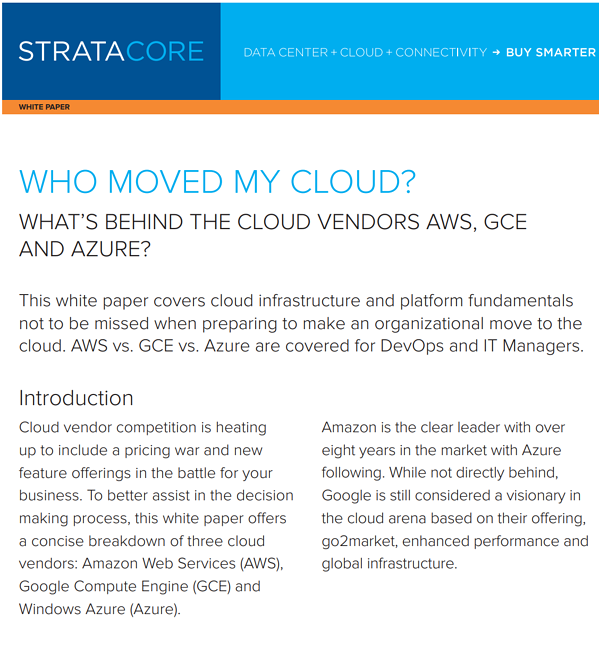 To better assist in the decision making process, this white paper offers a concise breakdown of three cloud vendors: Amazon Web Services (AWS), Google Compute Platform (GCP) and Windows Azure (Azure). Amazon is the clear leader with over eight years in the market with Azure following. While not directly behind, Google is still considered a visionary in the cloud arena based on their offering, go2market, enhanced performance and global infrastructure. What’s in a cloud vendor? Despite Amazon’s significant head start, other players have entered the market, making their mark, moving up the ladder and influencing pricing, features and expectations. Azure has been catching up with their cloud solution, Google entered in late 2013 with its Google Cloud Platform offering, and other players are also present, providing broad or niche solutions for different businesses. Below is a high-level comparison of their features, global reach, pricing and more. 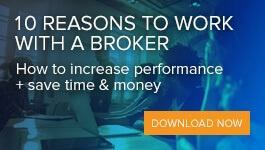 Download the free white paper to get the full cloud comparison.